In a world of darkness, there is one who will bring light…. On the edge of a mystical border called the Limen, close to a beautiful canal-laced city, a humble candlemaker rescues a child whom he raises as his apprentice. Years pass and the child’s unusual talents are revealed, the gentle art of candlemaking slowly transforming into something far more sinister.Lingering in the shadows, enemies watch and wait – a vengeful aristocrat, an exotic queen and the lethal creatures known only as the Morte Whisperers. They hunger after the child’s ancient magic and will do anything to control it – betray, lie, manipulate. Even murder. 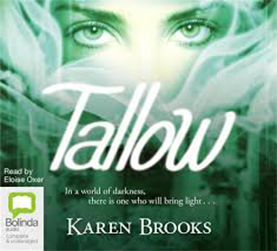 A story of intrigue, deadly magic and a love so deep it transcends life itself. 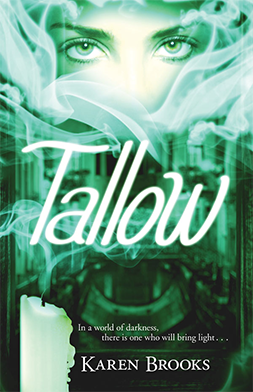 Tallow is an historical fantasy, set in Renaissance Venice, aimed at both adult readers and older young adults. It’s the first in the trilogy, The Curse of the Bond Riders.